The clocks simply don’t stop ticking at XLRI Jamshedpur, especially when the work at hand involves putting together one of India’s biggest management festivals. Ensemble 2014 is XLRI’s flagship annual business summit and as always, boasts of some major names and events this year. The three-day extravaganza kicks off on the 14th of November. The Ensemble Core Team, which is in charge of the complete organization of the management festival, reports that over 4000 teams from business schools across the nation such as IIM-A, IIM-B, IIM-L, FMS, IIM-S, NMIMS and MDI among others have registered for a series of challenging competitions. With over 15 Lakhs of prize money at stake across business, cultural and informal competitions, there is much to play for at Ensemble. The partners for this edition include Colgate Palmolive, Airtel, Hindustan Petroleum and State Bank of India, representatives of which will be coming to XLRI’s campus and witnessing the host of scintillating events that have been lined up. The other companies associated with Ensemble include Woodland, Axis Bank, London Bridge, Turtle, Samsung, PosterGully.com, SafeExpress, SCNext, TheCollegeFever.com, Engage Deo Sprays, White Angels Travel Solutions, Eazyroam, KnowAFest.com, Twenty19 and TestFunda.com. For the first time, Ensemble is hosting Coke Studio by MTV, live in concert. Coke Studio is known to create soul-stirring music with a plethora of brilliant artists who jam together to conjure magic through melody. The artist who will be preforming is Raghu Dixit, an extremely popular musician who is in demand. The campus is ablaze with talks about this upcoming musical spectacle. Amongst the highlights this year is the Modern United Nations: Security Council event, being conducted in collaboration with International Student Exchange Program of XLRI. Formulated along the lines of the real United Nations, it will test strategic, diplomatic and realpolitik skills of the participants. 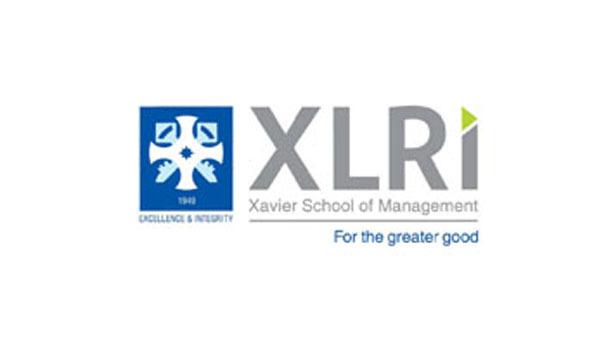 The legacy of leadership at XLRI continues this year with the ‘The Next Gen Leader’ which aims to discover leadership potential in the bright minds of top institutions such as IIM-A, IIM-L, IIM-B, IIM-I, XLRI, SPJAIN, IMT, MDI, XIMB and IIM-S. This event offers Rs 1 lac in prize money, winner takes all! There are over 50 interesting events scheduled across the three days and the events have been designed to test the students on an intellectual and creative basis using tools such as live projects, case studies and simulations. Ensemble promises to deliver higher standards and benchmark of excellence while sustaining the industry-student interface. Dracula, the theatre and cultural committee will showcase a play ‘Ek Ruka Hua Faisla’, an Indian adaptation of ‘12 Angry Men’, which promises to leave the eager audience spellbound. Other fun events include MasterChef, a cooking competition, a movie screening on campus, Futsal competition, Paintball Tournament, mono acting, face painting, solo dance, song competitions and a performance by Bodhi Tree, XLRI’s very own Rock Band. Ensemble 2014 promises to enthral and enrich the student community while remaining rooted to its ideals and values of sustainability and always working for the greater good.